Creating safe places with handrails and guardrails is our passion, so this was a great project to work on. The roof of Pentrehafod School is a busy place! A maze of air conditioning condensers, ducts, air handlers, fresh air ventilation and extraction systems, plus skylights and various roof drains. All of these will be needing ongoing maintenance in the future and those operatives who carry it out will be needing roof edge protection. Falls from height remains by far the biggest killer the in UK! 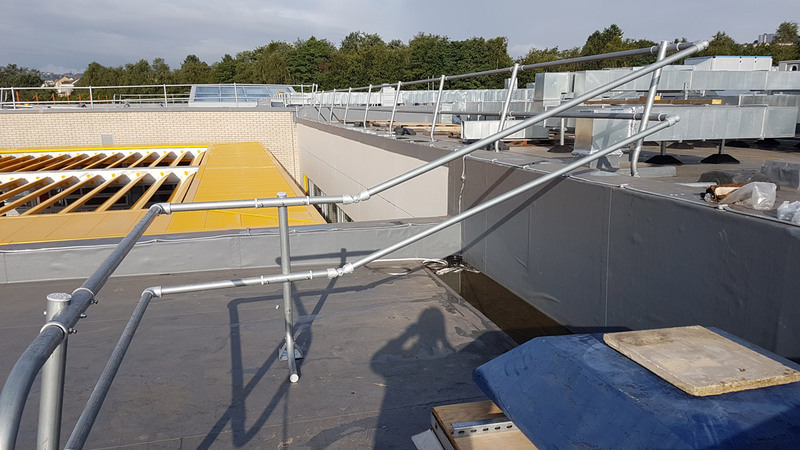 We were called in and provided a supply & installation service of Free Standing Roof Guardrail for ‘close to edge’ protection and combined it with demarcation chains where the edge was over 4 meters away, to create a safe working area for all operatives in the future. 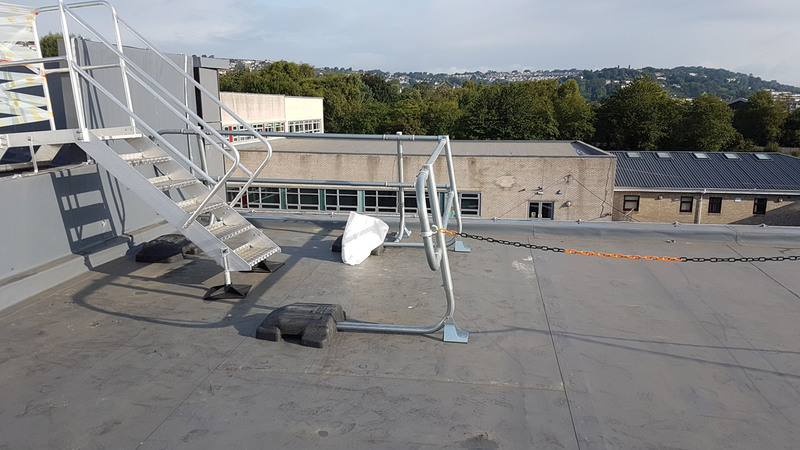 This means that any operatives on the site can go about their work without the fear of a fall from the roof edge.